Feeling somewhat like a miniature of a basilica 3 or 4 times as large as it is, the 32 meter long Cappella Palatina inside Palermo’s Royal Palace (Palazzo dei Normanni) is, simply put, spectacular. As soon as you enter, you’ll become lost in the dozens of stories depicted by dizzying mosaic scenes. Constructed between 1132 and 1143, it was the private chapel of Norman King Roger II. His son, William I, continued to add more mosaic works to its walls during his reign from 1154-1166. Every inch of the chapel, which at one point was the royals’ throne room, is a work of art. Once you have taken in the splendor of the Palatine Chapel, you’ll realize that Sicily during the Norman era had a Renaissance, centuries before its northern cousins on the Italian peninsula. 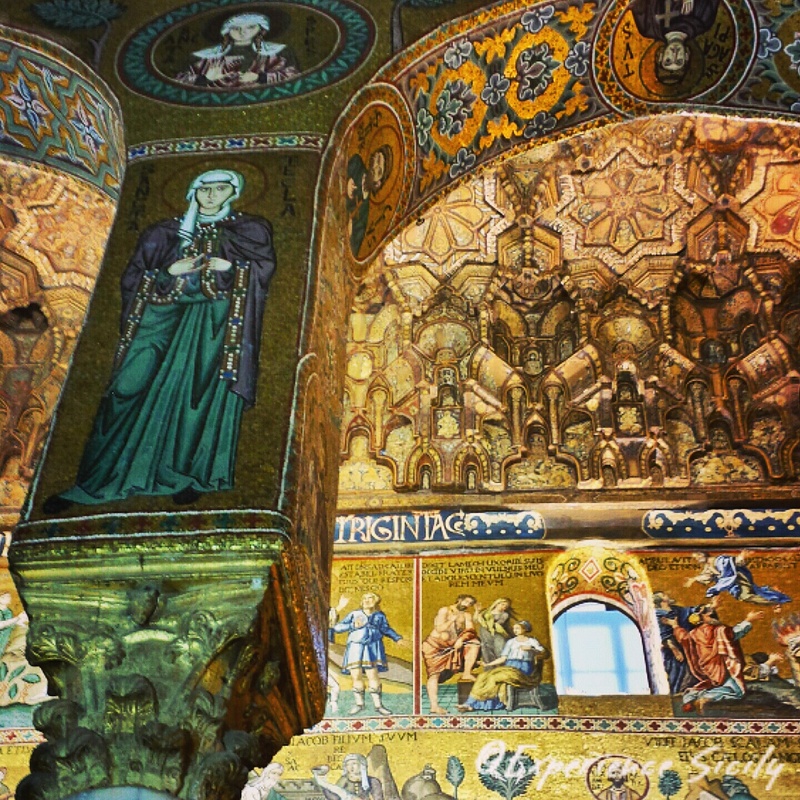 The Cappella Palatina is part of Palermo’s Arab-Norman UNESCO World Heritage Site. The details in just this one section are staggering. I’m sure that viewing it live would be something I’d remember forever!